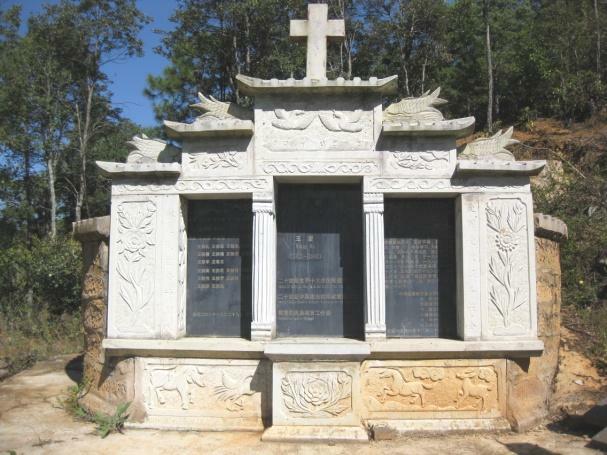 The Miao Minority Pastor Wang Zhiming was killed during the Chinese Cultural Revolution. 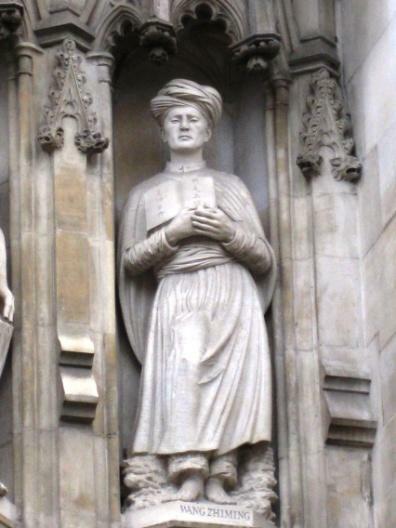 His statue can be seen on the west front of Westminster Abbey, London, along with nine other martyrs that died for their Christian faith during the twentieth century. I left Kunming on November 5, 2011, to head north into Miaoland. The purpose of this trip was to visit a Miao Minority pastor, Wáng Zǐ Qín (王子勤), nephew of the famous twentieth century Christian martyr Wáng Zhìming (王志明), in order to interview him about a revival he was part of in 1992. I had heard that this revival happened when an overseas Chinese pastor with the Assemblies of God, by the name of Lái Tiāncì, came from America and held meetings at the Yunnan Seminary in Kunming. This was a turning point in the Miao church and affected minority Christians both in Yunnan and Guizhou Provinces. I hoped to hear Wáng Zǐ Qín’s personal story from the time of the revival, as well as find out what had happened at the seminary in 1992. I wanted to know if any miracles had occurred during the revival and how the Holy Spirit has been influencing the Miao churches since that time. My translator-friend and I traveled with Wáng Huì Zhōng, the son of Wáng Zǐ Qín and grand-nephew of Wáng Zhìming, who is a teacher at the Kunming Seminary. Interestingly enough, Wáng Huì Zhōng was also one of the Miao Christians from the Kunming seminary that I had traveled with up to Shíménkǎn (石门坎)or Stone Gateway in 2005 to attend the 100 year anniversary celebration of the Miao church. Miao believers at Samuel Pollard’s grave in Shimenkan. 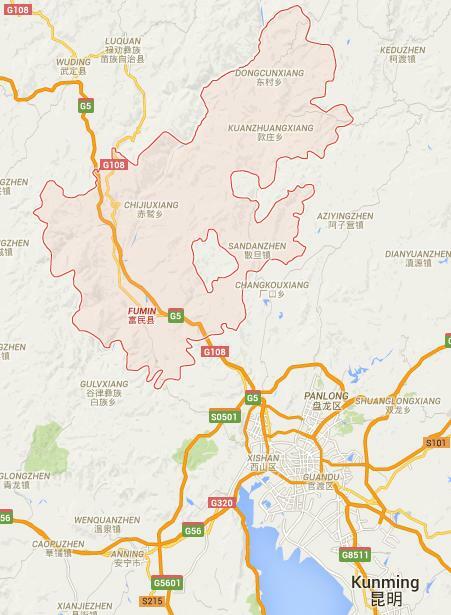 *Shimenkan in Weining County, Guizhou, and Sapushan in Wuding County, Yunnan, are the two most important places in Miao Christian history. British Methodist missionary Samuel Pollard brought the gospel to the Miao of Zhaotong and Shimenkan, while Arthur Nichols of the China Inland Mission worked among the Miao of Sapushan. missionaries who were the only people to help them out financially. At the beginning they were just seven families in one village. During the Cultural Revolution, the authorities came in and asked: “Who do you want—Chairman Mao or Jesus Christ?” When they answered, “both”, theywere told they could not have both and must only choose one. This time they answered: “We want Jesus!” In response they were driven from their homes and livelihoods, far up into the mountains like refugees, losing all for the sake of staying true to their faith. Due to this particular event, the group developed a distinct doctrine in which they say the Christian life is all about suffering. Wáng Huì Zhōng felt that these extreme ideas were from a lack of fellowship with other believers. Another extreme doctrine held by this independent group is the belief in Christ’s imminent return. When they predicted this return in 1989/1998 many of the Christians sold everything they had and waited for Jesus to appear. The group has expanded over the years and now contains not just Miao believers but also Yi Minority and Eastern Lisu (Lipo) Minority Christians. They were considered such troublemakers and so disruptive to society that the Chinese Government’s Religious Affairs Bureau offered them money so they would not keep propagating their strange doctrines. Most of them accepted the money and as a result they are no longer the problem they were previously. More information about these proceedings can be found in the records of the Chuxiong Religious Affairs Bureau office. Today, most of their leaders have gone and some members have joined either the Three-Self and house churches. “In the village of Xiaoshiqiao (Little Stone Bridge) simple Miao Christians were faced with a stark choice in 1969 during the Cultural Revolution: choose between Jesus or Chairman Mao. They chose Jesus. As a result local communist cadres told them: The land belongs to Mao, you cannot till it. The cattle belong to Mao, you cannot pasture them. Every blade of wood and grass belongs to Mao. When we arrived at our destination, the village of Dàpíngtái just north of Fùmín, I realized that I had actually been to this village before. It was the same place I came to with Ross and Glenice Nicholls (relatives of the famous missionary to the Miao, Arthur Nicholls) when we attended an earlier 100 year anniversary of the Miao church in 2004. After getting settled in at Wáng Huì Zhōng’s house, I asked to speak to his father Wáng Zǐ Qín, who I will later refer to as Old Brother Wang. The interview was conducted in the courtyard, where we crouched on low bamboo stools, swatting away at pesky flies, cracking walnuts and eating sunflower seeds in between questions. Wang Huizhong with his wife and son, Lisa, Wang Ziqin and Luo Jing in Dàpíngtái Miao village. Wang Huizhong, Wang Ziqin, George Teo, and Luo Jing in the courtyard where we conducted the interview. The first thing Wáng Zǐ Qín told us is that he believes the Miao church has been declining spiritually since 2000. Why? Because the older generation has continued to lead the church and they have kept a tight control over the meetings. They have not thought to let the young people participate or get trained up to take over. As a result, the younger generation is not prepared or interested in church leadership. Young people are also leaving the village for secular jobs in the cities, so this takes them away from church anyway. This is why you mainly see just old people and children in the meetings. Next, Wáng Zǐ Qín gave us a bit of a timeline and testimony about his life. In 1968, Wáng Zǐ Qín was 18 years old (which means he was born around 1950). He grew up in the village of Dàpíngtái. His parents and relatives were all Christians so he always knew about God, prayed and read the Bible for himself. But at 18 he had his own salvation experience where he repented and knew he was born again. After that he had his own relationship with Jesus and did not just follow his parent’s belief. Between 1968 – 1980 the Miao Christians gathered in secret groups for fellowship. At this time he was content with his own salvation experience and never thought about evangelizing others. In 1984 he was elected as the church evangelist and worked in this capacity until 1991. In 1991 Wáng Zǐ Qín was sent by the church to attend the Kunming Seminary. This was a special one year training course for pastors/church leaders, the first class of this sort ever held at the seminary. About 50 others, mostly minorities, also attended the class, but because it was not well organized people kept arriving at different times. In July of 1992, a Chinese-American by the name of Lái Tiāncì came to speak at the Kunming Seminary. It was just before graduation when the first class of students was completing their three-year program (which had started in 1989) and the pastors were finishing up their 1 year course. Lái Tiāncì saw that the students loved God and were devoted to serving Him, but that they really did not know if they were born again; most had no assurance of their salvation. Lai wanted them to really know and experience this. Old Brother Wang said he did not know if Pastor Lai planned to speak about this but he definitely believed God inspired him to teach about this and take the meetings this way. As Old Brother Wang spoke of his memories from those days he became so moved that he started to cry. It was obvious that his experiences at that time were so powerful that recalling them still touched him very deeply. Before long I too was crying and then it overflowed and my translator also teared up. A heavy tangible presence of the Lord fell on the three of us at this time and remained with us throughout the rest of the interview. I was very aware of being on holy ground. During the 5-6 days Pastor Lai was at the Kunming Seminary in 1992, he shared with the students about the Holy Spirit, using his own testimony and other people’s stories to give them examples of how the Holy Spirit works. His teaching made a big impact on everyone, but what was even more life-changing was that when he prayed for the student body the Holy Spirit actually came upon them! How was this evident? Various students were filled with the Holy Spirit and spoke in tongues as the Spirit enabled them. Old Brother Wang told us that at first he did not appreciate Pastor Lai’s teaching and was totally resistant to this move of God. He was proud of his CIM heritage and did not care for teaching that seemed to come from another denomination or mission organization—referring to the Assemblies of God and their emphasis on being filled with the Spirit. He knew that being filled with the Holy Spirit was a biblical doctrine but he was not sure it was for this day and age, so he even warned other students to be cautious of this new thing. He and most of the other pastors and leaders there had never experienced anything like this before so they thought what was happening could not be of God. Their traditional thinking put many barriers in the way of accepting this new thing. Another obstacle was the knowledge that before the (communist) revolution a Guìzhōu Province Miao by the name of Zhū Míngzhèng (朱明正) had come to Sǎpǔshān to teach them about the Holy Spirit. This was when there were no missionaries around and his meetings had gotten out of hand. Somehow singing and dancing led to people taking their clothes off! In the end the church members chased him away. Because Old Brother Wang knew about this, it made him resist Pastor Lai’s teaching. He was afraid this kind of thing might happen all over again! Nevertheless, as Old Brother Wang observed others being touched by the Spirit—sometimes falling down on the floor, or crying, or speaking in tongues, or mainly seeing joy spread all over their faces—he felt surprised and his attitude slowly changed. Finally, when he had seen enough of what God was doing in the lives of others and there were only two days of these special meetings left, he got so hungry to experience God for himself! When he thought about going back to his village to evangelize and teach like he used to—in his own strength and power—he knew that he didn’t want to do that again, not if the power of the Holy Spirit was available to help him! During those last two days, Pastor Lai taught that the Holy Spirit and His gifts can be passed on, like from Moses to Joshua and from Paul to Timothy. The gifts could also be prayed for and received, and that they could then pass them on. The students were all sitting in rows and Pastor Lai placed his hands on them so they could each receive an impartation. When Old Brother Wang’s time came he was so ready. He reached out his hands to also get filled by the Holy Spirit, and to also receive his heart’s desire which was the gift of healing. Why this particular gift? Because the Miao church is so poor and many are sick and can’t afford medical care, so he wanted to be able to help them with prayers that could heal the sick. When he was prayed for, Old Brother Wang started shaking and felt something like an electric current pass through him—the power of God. He also experienced a tremendous joy in the Lord. He has a photo of his classmates and himself taken at the seminary from this time, and whenever he feels weak he just has to look at this photo and he remembers that experience and always feels encouraged. they have never come back! Everyone acknowledged that these healings were from God and that He was moving in their midst. Old Brother Wang also had a vision. He saw himself praying with his hands raised and thousands of Miao people repenting and turning to Christ. This revival at the Kunming Seminary lasted about a month after Pastor Lai left, then right around the time the students were leaving to go home things started going bad. It seemed to be an immediate backlash against what had just happened. Satan started attacking them and turning people against each other. They had experienced a move of God but no one really knew how to handle it or where to go from there, and no one knew anything about resisting the attacks of Satan. Some of the students started to have all night prayer meetings—staying up instead of going to sleep and speaking in tongues for hours—and they were the first ones to get attacked. Others from the three-year graduating class wanted to stay on at the seminary as teachers and so for selfish (or “political”) reasons they denied what they had just experienced. Then, quite suddenly the government stepped in and once they were involved the relationships between the students and teachers exploded. However, just before the Miao pastors left to return home from this pastors’ training, they and the seminary teachers got together and drafted a letter about what had happened, stating they were in favor of this new teaching. They also wrote a song. No one though could quite agree on how to carry this message about the baptism in the Holy Spirit back to their various home churches, or how to put into practice what they had just learned. Everyone agreed to bring this new message back to their churches, but due to differences in each person’s situation, not all the pastors were successful. Some congregations received this message while others did not. The letter was sent to all the churches represented by these Miao pastors so that it could be read to each congregation and so that the new message would be taken seriously. When Old Brother Wang returned to his village of Dàpíngtái and began to teach on the infilling of the Holy Spirit, nearly everyone was moved and the message was received. 70-80% of the Christians were revived and a revival started to spread around Fùmín County. In August of 1992 the Miao pastors who had been at the seminary held their own training session so others could attend and learn about the Holy Spirit. His son, Young Pastor Wang (Wáng Huì Zhōng) attended these meetings. However, the government soon put a stop to this because they always resist “free” (non-government sanctioned) preaching and they did not want any meetings going on that they could not control. Under the “Three-Self Patriotic Movement” (TSPM) or government-sanctioned church, meetings can only be held at a set time and place. Although Old Brother Wang knew that everything he had experienced at the seminary was real, he and the other pastors did not really know how to pass it on. Teaching something new and being so inexperienced meant that their teaching had gaps and this left room for Satan to attack. For example, several fake prophecies were given and these got mixed in with all the good things that were happening, which brought chaos. So in 1993 the people who were against this new move of God, took advantage of this and reported it to the government. Another problem was that the pastors who had not been at the revival could not grasp this new teaching. They had not experienced it so they would not accept it. They had never related the experiences of the apostles or things that happened in the book of Acts to their own lives, so they did not think it was possible for similar things to happen to them. They believed people in the Bible could be filled with the Holy Spirit and experience the power of the Holy Spirit, but that was them, and it did not apply to the Miao. The time of Acts had passed and gone, so they were not aware it could still go on today. Between 1995 and 1999, the government told them that speaking in tongues was a dead gift that had passed away and that it was not for this age. So what they were experiencing by sobbing, shouting, moving, laughing, speaking in tongues, praying for healing, and overall participating in the meetings were fake manifestations or being “humanly filled with the Spirit” (人为地圣灵充满). This Chinese terminology was actually coined by a young pastor who later passed away. After he died, the term was dropped from use among the Three-Self churches and in government reports. The government sponsored TSPM started training sessions and the pastors who had been at the seminary revival who forced to attend. Here they were blamed, accused and criticized. The government was determined to stamp out and eliminate this new emotional belief. The people who could speak in tongues and had accepted the manifestations of the Holy Spirit were put under the greatest pressure. Everything was done to cause division and one pastor was even suspended from his church. 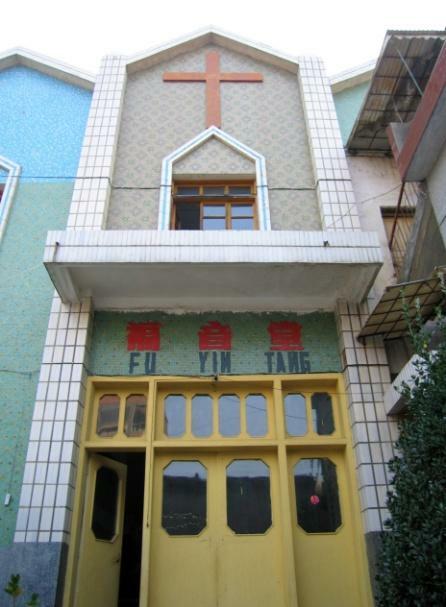 In 1998, the Three-Self church in Kunming held a meeting specifically for all the leaders who had been influenced by the revival from the Fùmín area churches. Old Brother Wang was the main speaker at this meeting and he wanted to try and clear up what had gotten confused. To do so, he stated the following points: 1) the Miao were not denying the traditional teaching and ways of the China Inland Mission (CIM) 2) Even though the CIM had never talked about the Baptism of the Holy Spirit, they now had this new information that could be added to what they already knew, meaning they could have the best of both worlds! They could use the strength of the Assemblies of God teaching to supplement the lack in the CIM teaching. All they knew traditionally was that they should be saved and pass this message on to others; and previously this had always been enough. But after going through the Cultural Revolution, and the new reforms in the 80s, this no longer seemed enough, and it did not appeal to the youth. They now knew they needed more! They needed to experience new life after salvation and they needed personal growth. They also needed to know that change could be good. Looking back over the history of the Miao churches in that area, they had always gone along with the CIM teaching and its emphasis on being born again. They knew that the Assemblies of God was always big on the work of the Holy Spirit, and so now they wanted both. They could see that receiving the gifts of the Holy Spirit was consistent with salvation, since salvation itself was a gift from God. Old Brother Wang (Wáng Zǐ Qín) also told those at the meeting that if they disagreed or were still confused about the Holy Spirit, they could come and talk to him about it later, but no one came up except one of the pastors who had understood and particularly wanted to encourage him. He also challenged them that if they did not welcome the Holy Spirit, they were not welcoming His saving power, so they needed to check what they were preaching. Old Brother Wang and his brother, who was also a pastor, did not see eye-to-eye on this subject. The main difference was that his brother believed that one is filled with the Spirit at salvation, whereas Old Brother Wang believes one can have a separate experience of being baptized in the Holy Spirit after salvation. His older brother was not sure if having an additional experience after salvation could be true. He still had unanswered questions. Their differing views meant that his brother pushed him out of the Dàpíngtái church, although most outsiders would not know this. This is why today the Dàpíngtái church seems less charismatic than some of the other churches in Fùmín. Old Brother Wang knows he and his brother have different beliefs and doesn’t want to cause disunity. Between 1994-1998, Old Brother Wang got worn down and gradually weakened. He said this was caused (1) by doubts that came from the term “being humanly filled with the Holy Spirit” (2) persecution from the government (3) the death of one of his coworkers who passed away during this time, and (4) and because he was not supported by his other colleagues and felt isolated. But in 1998 he was able to stand up again for the truth. An event took place that showed him God was real, and that what he had experienced was a true move of the Holy Spirit. By then some of the persecution had also settled down and in 1998 some “revived” young believers stood with him, so he was not alone. In the year following the revival (1993-1994) there had been so many miracles that one could not deny it was a move of God, especially in the area of healings. They had prayed for the sick before this, but they were never that diligent about it and did not really expect results . . . but then things started to actually happen! In 1993 a lady who shook from Parkinson’s disease heard that Christians were praying for the sick and getting healed, so she came to a meeting. At this time she made a vow to God saying, “If you heal me tonight, I will serve you for the rest of my life.” After the service she asked for prayer. The congregation lay their hands on her and all prayed in tongues. She felt the Spirit work through her body and the devilish disease left her. She completely recovered and continues to serve God today. A nephew of Old Brother Wang’s had a bone disease that prevented him from standing or walking. He had been in and out of hospitals but no one could do anything to help him. When they prayed for him in the name of Jesus and pulled him up, he stood and walked! Not only were these physical signs manifest among them, but lots of people who had previously denied God or had backslidden from God, came back to God during this time. Old Brother Wang believes this was part of his vision being fulfilled. People were strengthened, including himself, so now he knows that whatever else he has to face in life, no matter what kind of pressure he is under, he will never turn back. Old Brother Wang then spoke of how waves go up and down, like our faith or zeal for the Lord. When those (above mentioned) attacks came and he got weak, he said to the Lord, “God, I’m not the right person to do this work.” This made him weaker and weaker. Later, he developed thyroid disease and experienced more and more pain. He decided not to have medical treatment and just prayed, “God if you still want to use me, heal me so I can work for You. Otherwise just take me home now.” God miraculously healed him of this thyroid disease so he knew he must carry on serving Him. He also realized that he had stopped doing God’s work and that this disease had come upon him as a result. Meanwhile some of his brothers and sisters had been carrying on with the work. He could see that the ones who had persevered through the attacks had only became stronger. He felt sorry that he had dropped behind. He had refused to go that extra mile for the Lord and had gotten weaker, while those who had kept going had grown and developed more gifts. So he treated these ones as his teachers and let them pray for him many times. They encouraged him to carry on and to go on together. This “revival” or new move of the Holy Spirit also swept through other places, although it did not have the same impact that it had in the Fùmín area churches, which were seen as the ‘role model’. This was partly due to Lóng Kāihuá, the Miao pastor of the Fùmín area independent church, the one which had separated from the CIM. Lóng Kāihuá held two positions—he was head of an independent church seminary and the church—which helped them resist the pressure from outside. When the government forbade any freelance preaching, the Three-Self churches were pressured by their authority and backed down from holding special meetings to do with the Holy Spirit and healing. Three-Self pastors wear two hats, holding both a spiritual and a political position. They are appointed and paid by the government so each pastor is their pawn. This setup means there is often greater purity and faith found among the members of the congregation than in the leadership. Around 2002, all the churches that were revived started to hold special prayer meetings. These popular, once-a-month prayer meetings focused on praying for China’s evangelization, for the seminaries, the Chinese authorities, and the Chinese church. Because so many people wanted to attend the meetings, no single church had to host it each time and spend a lot of money. Christians now recognized that the Baptism of the Holy Spirit was not a passing phenomenon but a Biblical truth that is still relevant today. Before this some Miao thought that the new teaching about the Holy Spirit came from Fùmín, but now they realized it was found in the Bible so they accepted it. Today, if someone speaks about the Holy Spirit in a Miao church there is almost no resistance as people are now used to this message. In 2007 a church in the Wuhua district of Kunming that had experienced the first (1992) revival and then had cooled down, was revived again when a Christian lady church member went to Zhejiang Province and got touched by the Spirit and brought that anointing back with her. Old Brother Wang tried to explain that his village of Dàpíngtái is actually not considered part of Fùmín but is a satellite or fēidì (飞地) of Kunming. The Fùmín area Miao churches have very little to do with the Miao in Zhaotong, northeast Yunnan, or in other places. However, Young Brother Wang spent a year in Zhaotong after his graduation from the Kunming Seminary. The Three-Self Church in Zhaotong, 25 miles west of Shimenkan. 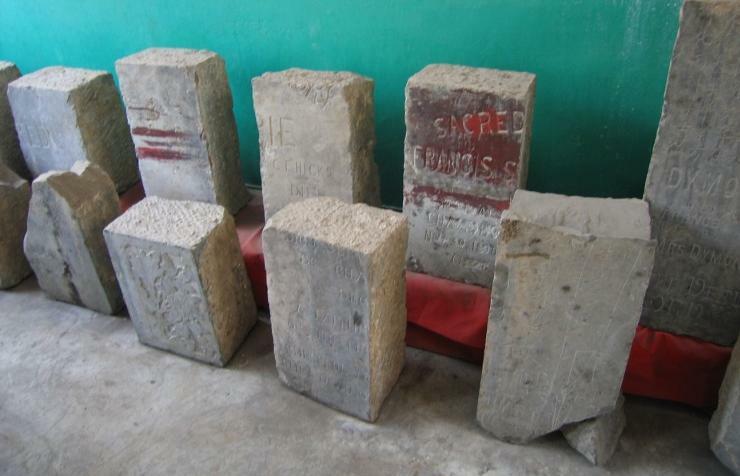 Inside the Zhaotong Church stand the damaged tombstones of the missionaries who came to China and died there bringing the gospel to the Miao people of northeast Yunnan. Old Brother Wang’s “gege” (older brother) is still pastoring the church in Dàpíngtái. It seems that Miao church leadership is a family business. Old Brother Wang does not teach in his own church because his brother has resisted his charismatic beliefs and he does not want to cause division. He referred to this as the Abraham-Lot principle. So he won’t teach about the Holy Spirit in Dàpíngtái but he does in other places. His older brother always teaches a traditional message about believing in Jesus and that Jesus is enough. Old Brother Wang teaches that the Holy Spirit also wants to empower you and give you life to share with others. His brother says the government will protect him, while Old Brother Wang says God will protect him. The goal of the Three-Self Patriotic Movement is stability. They don’t want people going where they cannot control them. Those who experienced the revival years and went into house churches seemed to keep fresh, while those who carried on in the Three-Self got stale and lost it. Old Brother Wang said he would be comfortable in a house-church but he had pity on those who were “caught in the middle”. He meant that when a person joins a house-church they usually have to cut off relationships with their family members who still attend the Three-Self, which puts them in an awkward position. This is why he has stayed under the leadership of the Three-Self. He also told us that the complete (Da Hua) Miao Bible was finished in 2009. The early missionaries only translated the New Testament into the Miao language (using the Pollard script) so they needed to get the Old Testament done. Years ago “The Shepherd’s Staff” (a training manual for new Believers, not for sale in China) was the only Christian book Miao pastors had besides the Bible. Now they have the Life Application Study Bible, as well as other Christian books in Chinese that can supplement what is heard in church. At this point another brother mentioned that most Miao lack the motivation to learn Chinese or study in general so these Chinese books don’t necessarily help them. Most minority churches don’t have solid Bible teaching because of their low education and lack of interest in studying. Getting an education is not part of the Miao lifestyle and is a low priority in Miao culture. Apparently this is why so many people fall asleep in church meetings! The same brother said that it is very hard to motivate the Miao youth to study because they have no vision for their lives or for their village and community. Another problem is that older Miao Christians do not teach the younger ones anything. Most of them don’t read their Bibles, so of course the youth don’t either. They are all looking for a strong leader, someone who can help them distinguish between right and wrong. The Miao who do have an education and are knowledgeable, still don’t know how to do church work. 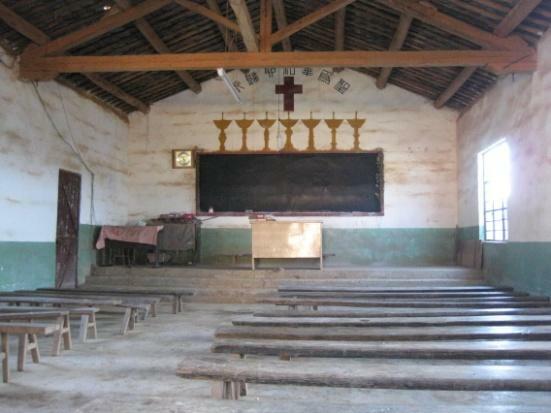 The biggest problem in all the Miao churches is that they lack good Bible teachers. “Although,” said Old Brother Wang, “Fùmín has the best!” Even so, right now in the Kunming Seminary there are less than 20 Miao students studying, out of a total 120! 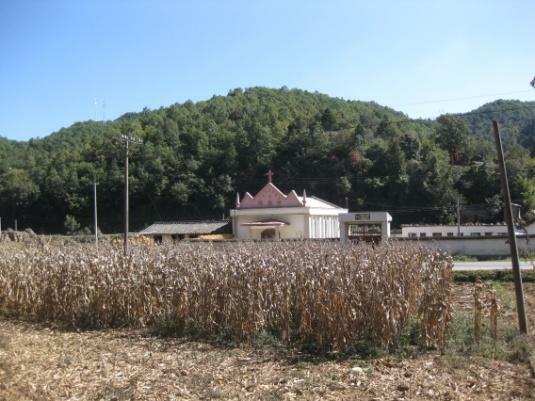 At the end of August 2011, the church pastored by a descendant of Lóng Kāihuá (the original leader of the independent churches) held a 2-day-3-night Thanksgiving meeting to review what the Lord had been doing among the Miao and to plan what they should do next. As this was a meeting that was being monitored by the TSPM, it was not appropriate to talk about the revival of 20 years ago. The 1992 revival caused the Kunming Seminary to close for the next 5 years. Old Brother Wang said this was due to (1) human error or fighting among the leadership, and (2) problems that arose because the teaching came from “overseas” or because a “foreigner” started the revival. If Pastor Lai had not come then things would have gone on just as they had always done and they would not have had these problems! I asked Old Brother Wang and his son, the seminary professor Wáng Huì Zhōng, if the Miao oral legends, like their flood tale, could be used to introduce people to God, and Wáng Huì Zhōng said he felt these legends were not reliable. He is not convinced you can trust something that has not been written down, unlike the Chinese with their characters. Before dinner that night, Old Brother Wang asked us to watch a DVD of a church service in Duǒmùdé (朵木得) village. This is one of the independent churches not under the Three-Self where Lóng Kāihuá used to be the pastor. He wanted to know what we thought. The DVD showed Christians singing, clapping and raising their hands, some people crying while they worshipped and prayed; some people’s hands shaking while they worshipped and prayed; and people in the congregation praying for each other. Nothing seemed that extraordinary or out of order, and love and joy were evident. Old Brother Wang asked if we thought they should stop people who shook, and we told him this was just the moving of the Holy Spirit. My Chinese Christian translator-friend and I gave the DVD our approval and Old Brother Wang seemed content. On Saturday night we attended the church meeting in the Dàpíngtái church. About 30 people attended. Several people began to sing and then Young Brother Wang asked us to share. My friend shared her testimony and I read and made comments on Psalm 71. At the close of the evening, Old Brother Wang told us we could find out more about the 1992 revival from Wáng Zhìming’s son who lives near Wǔdìng (武定县), since he also experienced that time. He could also tell us about his famous father and show us where his father’s grave was located. The next day we decided to go to a Sunday morning church service in another village, where Lóng Zuǒwǔ is the pastor. 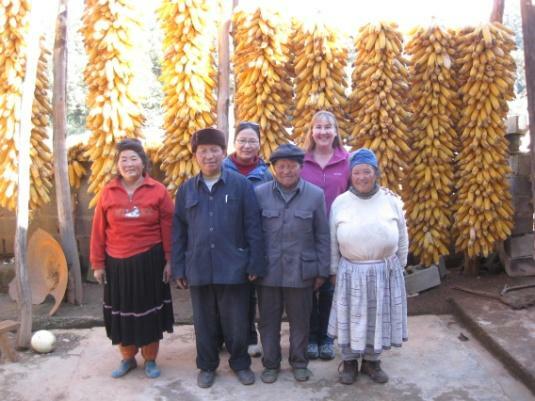 He was trained at the Independent Miao Bible school, so his church is independent and not part of the Three-Self or connected to the CIM churches under missionary Arthur Nicholls. These independent churches were set up after the fall-out with Arthur Nicholls. They were helped by the Seventh Day Adventists (SDA) because as an independent group they needed funds to carry out their work and at that time the only other Christians prepared to help them were the SDAs. There are SDA churches all over the Anning and Fùmín areas. The Heilongtan SDA church is run by Han Chinese but many Miao believers attend services there. There is a satisfactory cooperation between the Three-Self and the SDA churches. The next morning, Sunday November 6, 2011, we drove for an hour or more over dirt roads to the village of Mòlìlóng (莫衣龙) where the Shèjíná Jiàotáng (舍吉拿教堂) was holding an outdoor Thanksgiving service. Apparently this village has been a pioneer in the Pentecostal movement ever since the 1992 revival. Lunch was served for several hundred people in several shifts and we were invited to join them. After this church received the letter drafted by those who had experienced the revival at the Kunming Seminary, they held a training session here and taught on the book of Hosea. One of the pastors who had not experienced the revival used traditional methods of teaching, but the seminary graduates encouraged him to use different methods. As a result, Holy Spirit manifestations like shaking and crying broke out. This worried some who wondered if this was right or wrong. They had never experienced anything like it and had no former reference. Eventually one of the young pastors put a stop to everything. He was actually the one who came up with the term “humanly filled with the Spirit” that got used in the Miao churches and also in the annual report that all Three-Self churches are required to send into the government. This annual reports lists both the good and bad things that happen in the church. The report for that year said they were aware of this new phenomenon but put it down to being “humanly filled with the Spirit”. Once again they pointed out that the young pastor who coined the term died soon afterwards. During the Thanksgiving service about 15 different choirs performed songs, accompanied for the most part by a keyboard and an accordion. The very first choir was the best because their song was more upbeat and used actions like “air-guitars” and “jazz hands”. The other choirs sang older hymns and sacred music. Half way through these performances the local Shèjíná Jiàotáng choir sang “Bringing in the Sheaves” and men lined up to bring sacks of rice and corn into the church. The rest of the congregation followed behind them (including ourselves) going single-file into the church and depositing money into a big offering box set right in front of the choir. The choir continued singing while everyone filed through and gave their donation. Meanwhile, someone with a video camera was filming everyone putting their money in the box! I found the choice of song—Bringing in the Sheaves—somewhat amusing for I remember that the early missionaries sung this song as “Bringing in Chinese!” As the choirs sang on and the sun beat down upon everyone’s heads, it was also amusing to see a Miao woman going up and down the aisles handing out little packets of headache powder, which everyone seemed to take! Was it to stay awake or cure headaches? I can’t say I was unhappy when the service finally ended. We returned to Kunming later that afternoon. 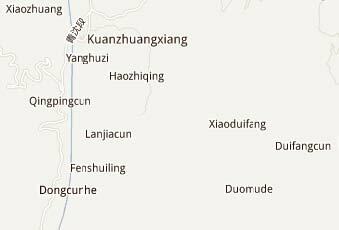 On November 10, 2011 I took a two hour bus trip from Kunming’s northwest bus station to Wǔdìng (武定县), and a car trip 25 miles further north to the village of Xiàchángchōng (下长冲) where my translator-friend and I had arranged to meet Wáng Zìshèng— the son of the famous twentieth century Christian martyr Wáng Zhìming (王志明). I guessed we were at the right village (Xiàchángchōng) when I saw a pink church situated right beside the road. Sure enough, after asking a local villager if we were in the right place, we saw Wáng Zìshèng and his wife standing right across the road waiting for us. I asked Wáng Zìshèng if we could see the church and he sent someone off to get his son, who we found out was the current pastor and holder-of-the-church-key. Miao churches really are a family business! The name of this church is Míng Ēn Táng (明恩堂). Inside we found two rows of low wooden benches which would hold up to 150 people. The front was decorated with a desk and blackboard over which was painted a red cross and the characters for Immanuel. View of the church from the pastor’s house, on the opposite side of the road that cuts through Xiachangchong. The pastor & his wife of the Xiachangchong church, along with his father, Wáng Zìshèng & his wife, in front. Luo Jing & Lisa behind. After viewing the church we walked across the road to the pastor’s house (the son of Wáng Zìshèng and grandson of Wang Zhiming) to have lunch. The driver we hired in Wǔdìng accompanied us to the house and started passing out cigarettes and being a general nuisance. Wáng Zìshèng’s daughter-in-law, the pastor’s wife, prepared lunch for us, which was served at a low table out in the courtyard. The driver also ate lunch with us and hung around as we started asking questions. Later we found out that this driver previously worked in the Wǔdìng police station which was probably why he could not help but want to know what the foreigner was doing talking to a Miao pastor! I began by asking Wáng Zìshèng about his experiences at the Kunming Seminary during the 1992 revival. Wáng Zìshèng told us he went to the Kunming to attend a 1 year course just for pastors and evangelists, called a Jiào Mù Bān (教牧班). There were 3 students from the Wǔdìng area who attended this Kunming seminary class along with him. What took place at that time was a very new experience for Wáng Zìshèng and something he had never seen or heard of before. He was greatly moved but the impact has faded away now. I got the impression that if we had not asked Wáng Zìshèng to remember his experience, he would not have remembered it as a milestone in his Christian walk. During the revival the students prayed for the Holy Spirit to fill them. That it actually happened and so suddenly rather shocked everyone. Speaking in tongues was the main evidence of being filled with the Holy Spirit. However, fewer students from his class (the 1 year course for pastors) spoke in tongues than the students in the three-year course. In other words, more students from the general student body spoke in tongues. With this being the case, I would guess they were younger and more open to this “new” movement. There were also miracles happening. He remembers seeing a lady with uneven legs—one leg being shorter than the other—get prayed for and seeing her leg grow in length and become even with her other leg. Wáng Zìshèng also prayed to receive the Holy Spirit and knew he was filled because he felt a warm wind pass over him from his head to his toes. But later he felt weak again. Other people in the seminary said he needed to fast and pray in order to keep strong (or keep this fullness?) but he did not and today he still wonders if this is why the feeling passed. Wáng Zìshèng believes he was filled with the Holy Spirit on that day while attending the Kunming seminary, but he reiterated that he felt nothing afterwards. It was not absolutely clear but it seemed he did not speak in tongues so his experience left him doubting if he had had a true infilling. This divisive idea seems to have come from the students who were filled with the Spirit and spoke in tongues, which made them feel “superior” to those who had not. Those who could speak in tongues wondered why God did not fill the ones who could not speak in tongues, and those who could not speak in tongues wondered why God only filled those who did speak in tongues. Today, Wáng Zìshèng does not think he is filled with the Spirit because he does not speak in tongues. He told me none of the three Miao pastors from Wǔdìng truly thought about bringing this teaching on the Holy Spirit back to their churches to pass on what they had experienced, so it did not happen. One reason was because of the fighting that broke out at the seminary between those who got filled with the Spirit and those who were not filled with the Spirit. The conflict lasted for about 2 months and in the end the two sides stopped talking to each other. In Wáng Zìshèng’s estimation, a lesser amount of people were filled with the Spirit, and a greater amount were not filled, so the majority of the people at the seminary were against this movement. Wáng Zìshèng said he tried to tell the congregation in Xiàchángchōng what had happened at the revival, “but no one back here believed it”. Not only did they not accept what he told them but some people even laughed at him so he did not want to talk about it anymore. He also did not want to push it on anyone. Because the main resistance to this move of God came from within the church, i.e. from other Christians, Wáng Zìshèng felt too much pressure to carry on in this vein. Also, it was not the first time he had come across something like this. Years earlier, a Miao pastor from Guizhou (Zhū Míngzhèng 朱明正) came through Yunnan and talked of being filled with the Spirit. Wáng Zìshèng was about eight years old when this happened, but he still remembers meetings with people crying, laughing, and jumping around. (He is now 73 so this possibly happened around 1946). However, after Pastor Zhu left, bad things would happen, like people taking their clothes off, getting sick and talking nonsense. At that time they called on a certain Miao pastor called Bai Mushi to drive Pastor Zhu away and make sure he did not return. When Wáng Zìshèng came back to his church with this new experience in 1992 he was accused of being “another Pastor Zhu” and he did not want that! Now that I had heard a second mention of this tendency to take off one’s clothes, I asked and found out that it did not actually happen in the church meetings but afterwards when those individuals returned to their villages. Also there were only 1-2 cases per village. Wáng Zìshèng’s wife knew someone in her village that this happened to, but after the other Christians prayed for her she calmed down and regained a sound mind. In my opinion these people were already demon possessed and these evil spirits got “stirred up” in the presence of the Holy Spirit and began to manifest. The devil caused this to discredit the ministry of Zhū Míngzhèng and tragically stopped the work of the Holy Spirit. I then asked Wáng Zìshèng if he or the Miao church in general ever cast an evil spirit out of someone and he said no. He had never experienced this or heard of it happening in a church context. Furthermore, he had never heard of any past missionaries praying to drive an evil spirit out of a person. If a person was sick (and they suspected that sickness was a result of demon possession) they only ever told them to go to a medical doctor. Interestingly enough, Wáng Zìshèng remembers that his father always told him that God’s Spirit is good, but whenever the Holy Spirit comes, an opposite spirit may also come and retaliate. We asked Wáng Zìshèng his impression of the DVD (church service in Duǒmùdé village) and he told us that he was not sure what to think about it. As a child, Wáng Zhìmíng was educated at the mission school in the village of Sāpǔshān (洒普山), Wuding County, Yunnan. Sapushan was headquarters of the China Inland Mission work among the Miao of Wuding, led by Australian missionary, Arthur Nicholls. Later, Wang Zhiming taught in the same mission school, and was a member of staff for ten years. While working as a teacher, Wang Zhiming used his excellent Miao language to retranslate the hymnbook, “Sòngzhǔshènggē” (颂主圣歌). He loved God and the church. In time, he left teaching to become the pastor of the Xiachangchong church in Wuding for five years, and in 1944 was elected chairman of the Sapushan Church Council, responsible for administering and guiding the Miao churches in north Yunnan. Every year, they would go to each church location to conduct Bible training classes, and encourage the believers to start new churches. In 1951 Wang Zhiming was ordained in Kunming, the capital of Yunnan Province, and became responsible for nurturing the Miao churches in both Sāpǔshān and north Yunnan. He was greatly loved not only by the Miao but by Christians of many minority groups. After the Communist Revolution, all missionaries were expelled from China. Pastor Wang tried to cooperate with the new government of China. He supported the Three-Self Movement (whereby churches are self-governing, self-supporting and self-propagating), and was even one of six Miao Christian leaders who agreed to the demands of the new government by signing the Three-Self Manifesto. In return, the state named him a model worker. Sapushan, the former mission station and village where Wang Zhiming worked, was singled out for special attention and made a model for others to see how to deal with similar “problem areas”—villages with high concentrations of minority Christians. Communist Party leaders believed that if they could eradicate the church from this one village they could stamp out Christianity all over China. The slogan “Catch up with the advanced unit Sapushan” became familiar propaganda in Yunnan newspapers. As Christianity was now identified with imperialism, Sapushan was renamed ‘Anti-Imperialism Village’. The pilot scheme carried out in ‘Anti-Imperialism Village’ had a two pronged approach: close the church and set up an alternative cultural center. The Christian leaders were forced to sign a promise to stop all church services until all lands were redistributed, to obey all the new regulations of the government, and to inform the authorities of bad elements (people) using Christianity to undermine the revolution. After the churches closed, Wang Zhiming was sent to work in the fields for reeducation through labor. He accepted this reality and temporarily ceased his church activities. Like all Christian minorities, the Miao are famous for singing, and loved to sing hymns both inside and outside of church. The government believed this was due to boredom with their isolated mountain existence. To counteract the attraction of a church meeting, the government established a cultural center and performance troupe in Sapushan, providing both professional instructors and the finances to keep it running. The effect this had on the Miao believers is not known. Entertainment is enjoyable but it can never take the place of a church service where one experiences God’s presence and the blessing one gains from singing hymns full of truth. Also, the Miao had never been paid to go to church, but the officials in charge of the cultural center had to dole out money to keep the Christians coming along to the cultural center. The irony was not lost on them! Finally, after years of hard work to replace Christianity with atheistic songs, dances and theatrical shows, they were also forced to admit their experiment had not achieved the results they hoped for. Perhaps the most insidious attack against the Miao Christians of Sapushan came not from these government schemes but from within the church. Two Miao brothers, both pastors from Sapushan, Old Long and Young Long, renounced their faith in Christ and became relentless opponents of the church. Needless to say, the government made full use of these turncoats with their insights into local Christian life. Before the Revolution, missionaries sent Old Long to Chongqing (then in Sichuan Province but now its own municipality) for seminary training, and, his accusers later said, “spoiled” him by letting him fly there and back by plane, as a way to keep him on their hook. When the government changed in 1949, both pastors were made district deputies and consultants on political matters. Young Long joined the Communist Party and was appointed deputy director of the Cultural and Education Department in the area, where he actually managed to do some good, and gain the grudging respect of the community. Old Long, on the other hand, used every public meeting to promote his particular brand of militant atheism. This not only antagonized the Christians but embarrassed the officials who expected an opposite effect. Apparently his sudden turn from Christian to atheist came during an epiphany he had on a trip to Beijing in 1950/1. While standing at the “Echo Wall” at the Temple of Heaven, he realized that the mysterious acoustics of the wall was not a mystery after all if one could understand it scientifically, and that religious phenomenon was just the same. His newfound faith in science coupled with his knowledge of the Bible, meant he could expound on subjects that most ordinary Miao believers knew nothing about. This confused and perverted the faith of many. To add to this insult, he also viciously persecuted Miao church leaders, causing catastrophic injury to the whole Christian community. During the Cultural Revolution of 1966-76, an attempt was made to destroy all that was ancient and admirable about China. Chinese youths became Red Guards and led campaigns to break free from the past and create a new society. All religions, including Christianity, were attacked. The Sapushan church was desecrated and turned into a warehouse. 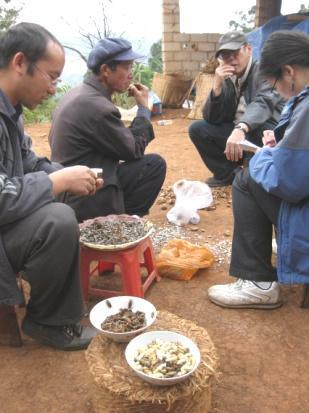 Under the leadership of Pastor Wang, Miao Christians began holding “underground” or secret meetings. By now the Christians were desperate to hear truth from lies and have solid Bible teaching to undo the years of damage caused by the apostate leader Old Long. Many also wanted to be baptized. When the government found out, Wang Zhiming was labeled a counter-revolutionary and dragged away for criticism sessions. Upon his release, he was warned not to hold any more meetings or even to pray! Undeterred, he continued to gather with his Miao brothers and sisters. Some prayer meetings were held inside a mountain cave. On May 10, 1969 believers from Dàpíngdi and Shàozǐgā villages came and requested Pastor Wang to baptize them. That same night he was taken into custody. Local Christians believed Old Long was complicit in the arrest. 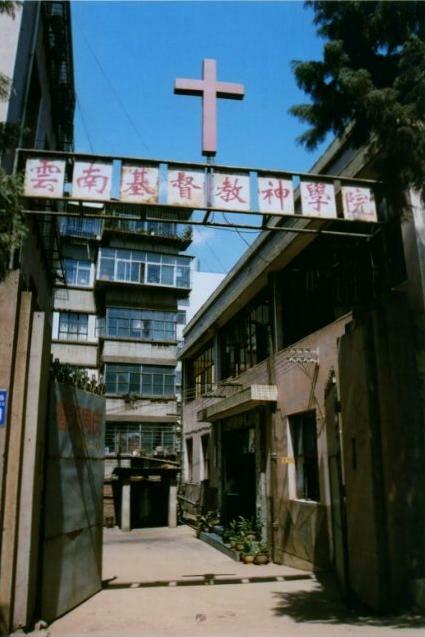 Between 1969 and 1973 at least twenty church leaders in Wuding were also unjustly imprisoned, and many other Christians were denounced, beaten or sent to labor camps. It was decided, however, to make an example out of Wang Zhiming, and execute him after serving his sentence. After five years in prison, Wang Zhiming’s family received a notice from the government stating he was to be executed. He had actually been sentenced to death for some time already but the government didn’t want anyone knowing until the “last minute”, so as to prevent any kind of uprising. Family members of a “counter-revolutionary” was not allowed to see their condemned relative before an execution, but the government made an exception in the case of Wang Zhiming. Because they belonged to a minority group, they were granted a final meeting on the basis of “revolutionary humanitarian reasons”. Therefore, on December 28, 1973, the day before Wang Zhiming’s execution, a dozen or so family members walked for several hours into Wuding city to pay their last respects to the man who had been not just a husband and father, but also their pastor. His appearance brought tears to their eyes. The shackles around his ankles jangled as he hobbled towards them, and he looked skeletal and his hair had grayed. Knowing exactly what his wife meant, and that this was the last time for him to address his family, he smiled and said in the tone he always used to speak in church, “I haven’t be able to reform my thinking. And since I cannot be changed, I am responsible for and deserve what is about to happen to me.” This was his way of saying he had not recanted his faith or denied his Lord and was ready to accept what was coming next. “But all of you,” he continued, “are not to follow me. You must listen to the words from above.” “Do what the above tells you—repent and become new people,” he emphasized. “The above,” could have meant the government, but as Christians his family knew right away that he was telling them that God alone was their authority and they must obey Him. “You should work hard to ensure you have enough food to eat and clothes to wear,” he carried on. “Don’t get sick. Pay attention to your personal hygiene and stay healthy.” These words warmed their hearts, for they had heard him say this before. They were the words Wang Zhiming’s own father and the foreign missionaries had spoken in the past, to instruct the Miao on how to live as Christians—diligently, wholeheartedly, with purity and holiness. They were such significant and profound words that his children never forgot them and they compelled each one to contribute faithfully in serving within the church. His son and fourth child, Wáng Zìshèng then stepped forward and tearfully said, “Dad, we will listen to what ‘the above’ tells us, but there are many children at home who need you. What will happen to those children if you don’t come back?” He referred, of course, to the many Miao believers; the flock in need of a shepherd. At this time, Wang Zhiming leaned over and took three of the six hard-boiled eggs his wife was holding in her hand to give to him. “I have three, you have three,” he said clearly. They understood the symbolism—the Trinity. It was a reminder they were not alone. Each one had the Father, Son and Holy Spirit at their disposal. When Wang Zhiming was taken away, the family refused to leave until the prison warden agreed that they could come back and collect the body. In the end they were driven out, and had to walk home in the dark. Most of the village was waiting at their house when they returned. Everyone cried when they heard their pastor’s body was to be blown into pieces. They prayed together for God’s help. Early the next morning, a village official instructed the family to borrow a horse and cart and be on their way. He said they had permission to attend their father’s trial and that afterward they could “drag the body of the counter-revolutionary home.” Rejoicing at this answer to prayer, they set out quickly, singing hymns along the way. The “trial” was a mass rally, organized by the government and attended by 10,000 or more people. Two other “criminals” were also to be tried, not to get the death penalty, but to receive “an education”. Most of the attendees were Christians, compelled to go in order to frighten them into submission. Among them was the former Christian pastor, Old Long. Upon their arrival, Wang Zhiming’s family was told to squat down on the ground with their hands on their heads. Soldiers pointing guns encircled them so they could not move. Up on a stage sat all the Wuding County leaders, and before them stood Wang Zhiming. His hands and legs were tied with rope, and around his neck hung a large wooden signboard listing his alleged crimes. The two criminals stood on either side of him. Blood flowed from one corner of Wang Zhiming’s mouth where a guard had used his bayonet to slash out his tongue, fearful lest he should try to preach. Four leaders including Old Long stood up on the stage to denounce Pastor Wang’s crimes, and demand his execution. After this farce, the chief prosecutor grabbed the microphone and announced, “Wang Zhiming has been sentenced to death. His execution will be carried out immediately.” Soldiers lifted Wang Zhiming into the air so that everyone could see him, and the crowd began to roar. Some shouted, “Long live Chairman Mao”. Then a group of Christian Miao ladies, seemingly oblivious to the possible consequences, rushed up to the stage where Old Long was still sitting and cried out, “Backslider! Devil! Your evil crime is against the gospel of Jesus Christ. We dare you to come down!” Their courage in confronting him, threw the crowd into chaos. He was quickly led away and pushed onto a truck with the other prisoners. Another truck containing armed soldiers drove behind his. People in Wuding told the family that the trucks were paraded through the streets for half an hour, and that he smiled as he passed by. He knew where he was going and that hope brought joy. Finally, at an old airport outside the city, Wang Zhiming was removed from the truck and shot. It was December 29, 1973. Meanwhile, his family was still being held at gunpoint. When everyone had left, the soldiers tied them together with rope and led them into a room where their father’s few belongings had been dumped on the floor. “This was left behind by the counter-revolutionary. Take whatever trash you want,” the guard told them. Close friends had taken the borrowed horse-cart and gone to the airport to collect Pastor Wang’s body and bring it back to them. Now one son washed the blood from his father’s face while a daughter arranged his body on a quilt she had brought along for that purpose. It was one o’clock in the afternoon and no one else was around as cart moved slowly along the road, family members walking on each side. The sky above was blue and birds soared and chirped around them. Wang Zhiming appeared so peaceful that it was hard to believe he was dead and not just laying there asleep. According to Wang Zisheng, no one in the family felt bitter about his death. They were all Christian and everyone accepted that it was God’s will for him to die this way. “A grain of wheat must die before it can produce fruit,” he said. Along the road, Miao believers lined up to see their pastor for the last time. Some came up to the cart and stroked his body. Others stopped the cart and said their final good-byes. Both old and young friends of the family and strangers alike came to show Wang Zhiming their respect. The cart pulled into the village just as the sun was setting. The sons took their father’s body inside the house. Village officials and soldiers had been sent to guard the house and keep away anyone who might want to visit, but after midnight, fellow Christians snuck into the house and prayed with the family. Long Caixin, a church elder offered his own coffin so that Wang Zhiming could be buried the next day. How true is this in the case of Wang Zhiming? In 1979, government authorities throughout China were instructed to make amends for the suffering inflicted upon innocent people during the ten disastrous years of the Cultural Revolution. In October 1980, Wang Zhiming was ‘rehabilitated’. The Party admitted misjudging his case and the family was offered compensation in the amount of 1,300 yuan (then about $250). Other Christians imprisoned as a result of miscarriages of justice and sentenced to long prison terms were also released, although usually without any expression of wrongdoing. and inhumanity to the nation. Wang Zhiming was unjustly arrested on May 11th 1969. Fabricated evidence led to his conviction and he was martyred in Wuding on December 29th 1973. He died at the age of 66. Wang Zhiming’s old gravestone lays to the right of the new tomb. The new tomb with a three paneled inscription giving information about Wang Zhiming. His wife was also buried here with him. The tomb from behind, showing the hills of Miaoland, Yunnan. 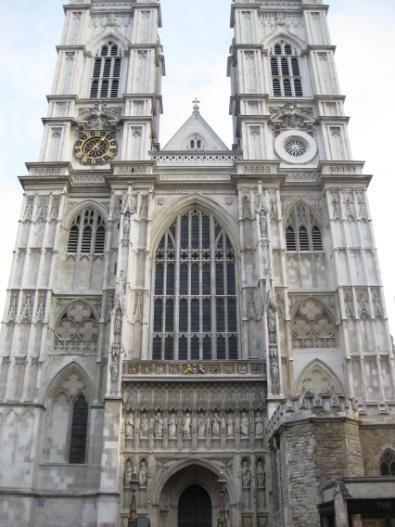 Westminster Abbey has ten statues of martyrs over the west entrance door. A close-up of the statue of Miao martyr Wang Zhiming. Third, in 1998, Wang Zhiming was chosen as one of ten 20th Century Christian martyrs to be memorialized in stone above the Great West Doors of Westminster Abbey, London. Queen Elizabeth II attended the service for the solemn unveiling on July 10, 1998. Here, Wang Zhiming stands alongside better-known historical figures like Martin Luther King and Dietrich Bonhoeffer, but all ten statues represent those who died for Christ in a century marked by the greatest number of martyrdoms in the history of the church. Wang Zhiming represents those who gave their lives for Christ in China. Finally though, the best “fruit” to come from Pastor Wang’s suffering and death has been phenomenal church growth. When Wang Zhiming was arrested, there were 2,795 Miao Christians in Wuding, but by 1980 the church had grown to about 12,000. Wuding now has over 30,000 Christians and more than 100 places of worship. And the Miao were not the only ones affected by Wang Zhiming’s death; many Lisu and Yi minorities were also influenced. Up to 25,000 people were said to become Christians among all the minorities. Some were Communist Party members who withdrew their memberships and returned to the Lord. His son, Wáng Zìshèng is so thankful for these results. “It’s why we know our father’s death was God’s will and plan. It’s the principle of ‘kill one to raise more’”. Nevertheless, sporadic persecution still continues in Wuding, and the Christians there still need prayer. Wáng Zìshèng explained that the Miao church today has declined because the youth have migrated into the cities for work and it’s hard to tell if they believe anymore. He feels the greatest need in the Miao church is for people who can organize and manage the churches, i.e., leaders. The church is also struggling financially because the young, wage-earning people have left for the cities, so the offerings are low. 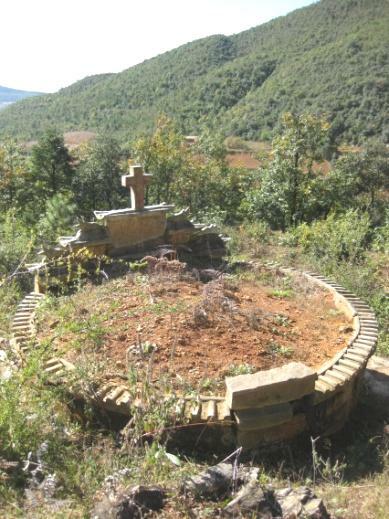 Overall the foundation of the Miao churches is no longer strong like it used to be. In the past, one student from Míng Ēn Church (in Xiàchángchōng where Wáng Zìshèng’s son is the pastor) went to the Kunming seminary and two students from a nearby house-church, but none of them came back to do church work. After graduation they all left to find good jobs. This was probably because they simply needed the money. Only part of their seminary tuition was paid for by their churches so they were mostly self-funded. The main Christian groups in Wǔdìng County (武定县) are the Three-Self and house-churches, along with one Independent Miao church, and one Seventh Day Adventist church. During and after the Cultural Revolution, some Miao were forced to stop being Christians and they never came back to the faith. Also, many Miao Christians were not able to pass their faith on to the younger generation so now AS the older generation is getting even older and dying, this younger generation is not prepared, and they are more susceptible to outside, worldly influences. This has weakened the Miao churches. For example, Sǎpǔshān (洒普山), the Christian center of the Miao churches, used to have about 1000 believers, but now they only have 3-4 households, or less than 40 people who attend the meetings. Since the Miao church realizes their church has become weak because the older Christians have not taught the younger generation about the Lord, it seemed clear to me that they need to focus on Sunday school and youth work before they completely lose the next generation. However, when I asked if they were doing anything about this, Wáng Zìshèng told me they did not have the finances or manpower to do much. I asked Wáng Zìshèng about his family. He told me he was the fourth of seven siblings; that he had three older siblings and a younger brother and sister. All of them were Christians and three of them went into the ministry. His second brother became a doctor and is Wang’s only living sibling. He and his wife had had three children. The oldest son is pastor of the church, the man we met and ate with that day. This son always followed the Lord, went to seminary and became a good preacher. Nevertheless, his younger two children were baptized as Christians but they have always had personal and family problems. They never served in the church and now they do not attend church. Wáng Zìshèng called them lazy and said that God cannot bless them because they are lazy. In the 1970s, Wáng Zìshèng was arrested for conducting illegal Christian gatherings in various homes up in the mountains and not in the church. He did this to carry on his father’s work and to follow his example, and as a result he was imprisoned just like his father. He was sentenced to a 9 year prison term but he only had to serve 3 years of that sentence (from 1977-1979). Because of the damp conditions in the prison he now has arthritis in his legs and knees. Wáng Zìshèng said that the most important thing he has learned over his life as a Christian for 73 years is that one should have a testimony and always use it to evangelize. Having talked for over an hour, we then asked Wáng Zìshèng and his wife to show us Wáng Zhìming’s grave. To get there we had to cross the road that cuts through the village (on the same side as the church) and walk up a forested path on the side of the mountain. There were a number of Christian graves up there, most of which had tombstones written in the Pollard (Miao) script. The largest and most beautifully decorated grave was that of Wáng Zhìming and his wife (who was later buried with her husband). 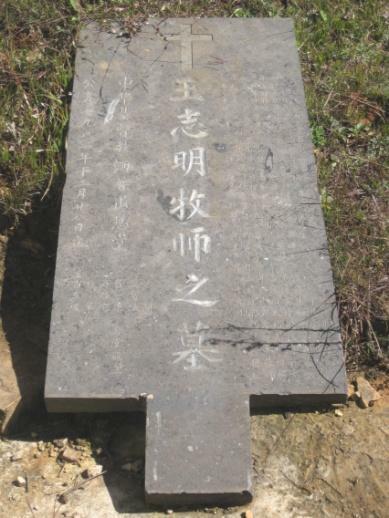 Wáng Zhìming’s grandson, his second son’s son, had organized and paid for the tombstones. The front of the grave contained three tombstones written in both Chinese characters and English. There was no Pollard script on the tombstones. 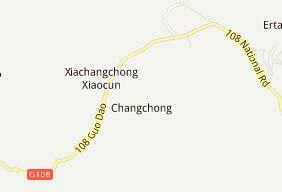 Because Wáng Zìshèng had mentioned Sǎpǔshān earlier, I asked if it was far from Xiàchángchōng and discovered it was only about 10 miles away. With it being so close, we arranged for the driver to take us there and asked Wáng Zìshèng to accompany us. We would bring him back before returning to Wǔdìng. The driver only took us to a certain point on the road to Sǎpǔshān because he was worried about damage to the undercarriage of his car. Then he stopped and told us we had to walk the remainder of the way. Wáng Zìshèng walked very slowly so it took us another hour or so to actually reach the village. On the way he told us that Pastor Zhū Míngzhèng (朱明正) was from the Guobu Church in Hezhangtang, Guizhou. This must be Gébù cūn 葛布村 (formerly spelled Kopu) in Hezhang County, Guizhou. In 2009, Wáng Zìshèng visited this Gebu Church and saw Miao Christians singing and dancing in the service. Pastor Zhu was known as a powerful Christian and obviously a man of great faith. One time during a big rainstorm he lifted his hands and prayed for the rain to stop, and it immediately stopped! In Sǎpǔshān we met Elder Zhang (Zhāng Zhǎnglǎo 张长老) or Zhāng Mínfù, the church leader. Inside the Sǎpǔshān Church, Ēnguāng Fúyīn Táng 恩光福音堂. The old missionary house where Arthur Nicholls and his family lived in Sǎpǔshān. Elder Zhang showed us inside the current church, the land where the old 1000 seat church once stood, and the new looking Sunday school block (on part of the old church land). 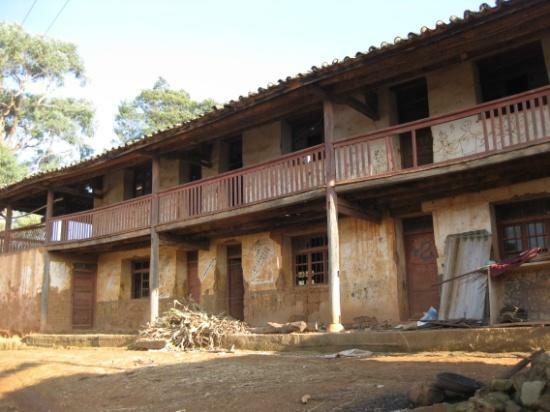 Next we saw the old missionary house which was in a terrible state of disrepair. After the revolution the government divided up this old missionary house. Half of it was given to 2 work units, ¼ was given to the school and the other ¼ was given to the church. In the 1980s, when the government returned the properties it had taken off the Sǎpǔshān Christians, but it only gave back some of what they once owned. This did not include the former missionary residence which is why it has fallen into such a state. No one had repaired it and now it is basically too far gone to ever be restored. On one side of the building where a door led into what was once was a medical clinic, there is a 4-sided monument with information about Miao church history and Sǎpǔshān village. Elder Zhang told us that after the Communist Revolution, Sǎpǔshān (洒普山) was forced to change its name to Fǎn-dì 反帝, meaning “Anti-imperialist” Village. Slightly up the hill from the old mission house we saw the Sǎpǔshān school with a dirt playground surrounded by an old mud wall. On one side of the school was a nice looking, concrete basketball court. Walking back to the church we passed a small mud-brick house which the missionaries used for milking cows. My translator-friend asked Elder Zhang if he had heard of the 1992 revival and he had. After inquiring as to his beliefs about the infilling of the Holy Spirit, he explained that all Christians should be filled with the Spirit but this doesn’t have to take a specific form, and that we can’t judge by outer appearances if a person is filled or not. He also said that Miao churches have always been traditional so they are scared when they see someone crying or singing and dancing. Nevertheless, these manifestations don’t bother him. He personally thinks they are ok. The name of Sapushan was originated from Lisu（Saobw）。This place was developed by a family whose surname was Bi – a tenant farmer family of Feng Tusi (a minority headman) around the end of the Ming and the beginning of the Qing Dynasties. After a century, the only cultural remains were the tall green gum trees transplanted by John An ( n Yuēhàn 安约翰) from Australia in 1934. All of the AHmau culture comes from hostile natural and social environment, with rough people. It can be easily understood by domestic society as well as the outside world and it never changes. Among all the scorn and praise, people could be curious or simply want to find out the real history. AHmar culture has a long history and any story traced back would be the rarity of rarities. At the end of the 19th century the main culture of the Central Plain – “I am the key of the center and all the other places are my surroundings…I am the culture and others are savage.” – was challenged by the knowledge of the West as it flowed into China. The unrealistic Chinese traditions which have been passed on for thousands of years would have to admit that there would be always someone stronger than you. For more than 2000 years, the defensive Confucius culture did not contaminate the AHmau due to the suppression and dreariness. The sub-dialect from the west of AHmau started in the years of the Qing Emperor Qianlong (1736) from the west of Guizhou to the north of Yunnan where Na Tusi (another minority headman) reigned. In 1825, the woods and lands of Sapushan were purchased and populated. Back then the Qing government was trying to “control this remote area”. In 1901 Zhāng Yǔ 张宇 was studying at a private school in Gǔbó 古柏. His outstanding intelligence caused conflicts among teachers and parents. Hence, a leper was instigated to scratch, beat and spit at him. In the end he caught leprosy. In 1902, his father walked miles to seek medical help from the missionary Dǎng Wúrén 党吾仁 [J. R. Adams] in An Shun. From the end of 1903 to the beginning of 1904, British missionary Samuel Pollard brought Christianity to Sapushan. Later on Gé Xiùfēng 葛秀峰 [Guō Xiùfēng 郭秀峰], n Yùlíng 安育灵 and so on came to the main AHmau church at Sapushan which lasted for 46 years. The main church of Sapushan administered 6 counties, 7 branch churches and their affiliated junior departments in places like Fumin, Lufeng, and Luquan, etc. The foundation classes of Ēn Guāng private primary school were started in 1911; and the senior classes were launched in Dec, 1922 with additional subjects like English, Bible knowledge and hygiene, etc. In the 40s, Gé Ruì 葛芮 [Dr. Max Gray] operated a surgical delivery at Sapushan which was the first case in Wuding. Each branch church would take terms to hold student games at every Christmas, including athletics games like singing competition, race, martial arts and basketball game, etc. The influence overcame the minority boundaries. Therefore it attracted students of all races from all over the places. It was the time when Han Chinese, Miao language, translation work and Bible study become so popular in the sub dialect areas, even among women and children. Although AHmau society was poor, simply and crude, its ethics created a pure land where anything lost on the road would stay here waiting for its owner and doors could remain unbolted during the nights. This spread out through Miao villages from middle to the north of Yunnan. The tongues had once been accused as dreadful noise, then sounded like singing birds. The beautiful voice of reading books and singing worship echoed through the mountains and valleys, and around the schools and churches. In the 21st century, what stands in front is the severe challenge of natural selection and survival. We pray and wish to stand with the other entire world races. It is the right time to look back to the “remote” years – not the desolated years. We record this on the stele and hope to benefit the later generations. Finally, in April 2012, I was able to meet Lái Tiāncì, also known as Pastor Steve Lai and his wife, Jenny. They told me that they had come to Kunming in 1992 with Marjorie Baker and her daughter Linda (née Baker) Kaahanui. Marjorie Baker’s husband, James Baker, started the seminary in Kunming (then known as the Língguāng 灵光 Bible Institute) back in 1948 and made Pastor Gu Huaikong the principal when he was forced to leave. It was because of the Baker’s relationship with Pastor Gu, the same principal who reopened the seminary in 1989, that Pastor Lai was invited to teach at the Kunming seminary. Pastor Lai taught on his favorite subject—the Holy Spirit—but after his first session one of the teachers, Pastor Jing, opposed him. He said this topic had never been spoken about before and that he did not think it should discussed at the seminary. Pastor Gu, however, said it was fine and that he could continue teaching about it because it was in the Bible. Pastor Lai recalled that about 30 students spoke in tongues right away, but that by the end of the week almost all 140 students did. In fact, all but two old men spoke in tongues. One lady who was at the Kunming Seminary from the Nanjing Seminary said she was “hungry for the Holy Spirit” but all she kept whispering was “Hallelujah”. Pastor Lai told her that if she was really hungry she would shout out for it. She immediately shouted and received the baptism of the Holy Spirit with speaking in tongues! That evening after the dinner, I attended a house church meeting where Pastor Lai was speaking—on the Holy Spirit, of course! It was a great meeting and afterwards everyone was rejoicing in God’s goodness and love and praising God in tongues. It thrilled me to know these sorts of house churches are going on in Kunming and that the Spirit of God is still reviving people today, whether one calls it a revival or not.